Verchovyna, meaning “highland place”, from a town located in the Hutsul region of the Carpathian Mountains in Ukraine, was the inspiration for the Ensemble’s name. 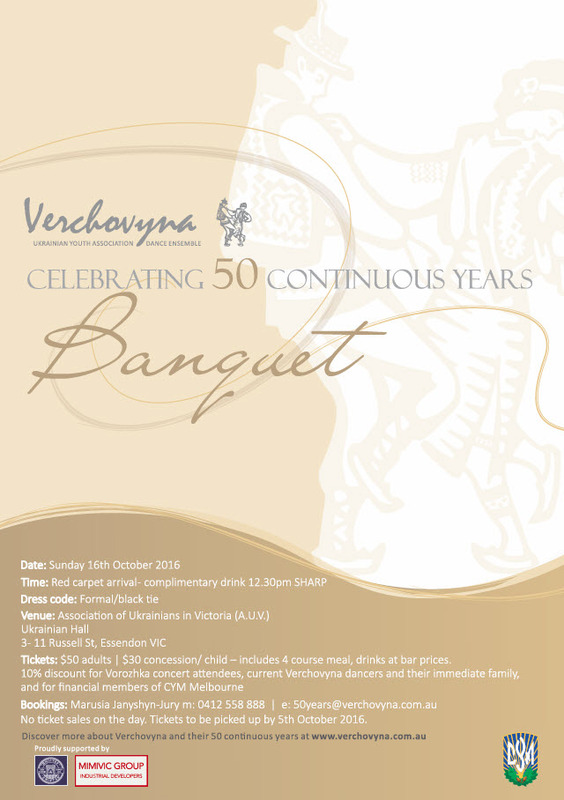 Since its beginning and over the 50 years, Verchovyna continues to provide an opportunity for Ukrainian Dancers to share their love of dance! 2016 is the Ensembles 50th anniversary. We are excited and proud to enjoy, promote and celebrate the development of Ukrainian dance whilst continuing to make lifelong friends with similar passions. Includes 4 course meal. Drinks at bar prices. 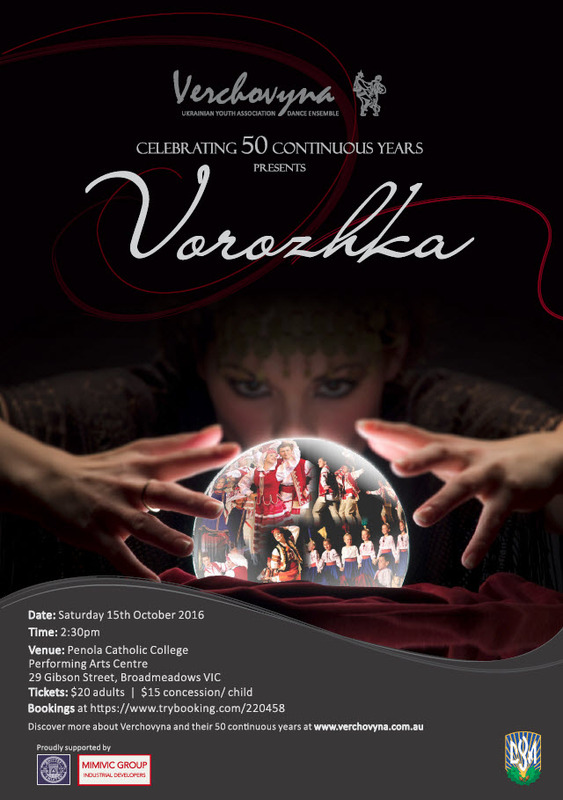 10% discount for Vorozhka concert attendees, current Verchovyna dancers and their immediate family, and for financial members of CYM Melbourne.